A cane pole is easy and fun to use, add a fishing bobber, a fishing weight, hook and a fishing worm and you are ready to start to fish. 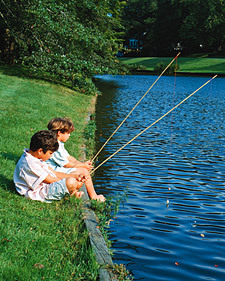 They cane fishing poles offer an inexpensive means that makes a child a great first fishing pole. Rather than having to learn how to cast, your fishing consists of simple raising the rod tip and swinging the bait out into the water. These simple cane fishing poles act as a mechanical devices, or lever, and consists of long bamboo sticks, with a fishing line attached to the end or tip. On the end of the line is tied a hook, and often a worm is used as the bait. A fishing weight is attached above the hook so that the fishing worm and hook will sink down to where the fish are swimming. 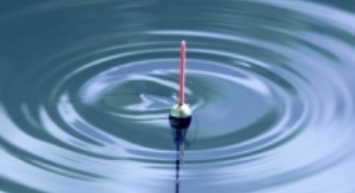 A fishing bobber can be attached above the weight which serves two purposes. First you can adjust the bobber to a specific distance from the hook depending on how deep you think the fish are swimming. The bobber also allows you to see when a fish hits your bait - the bobber will "bob" causing ripples in the water. 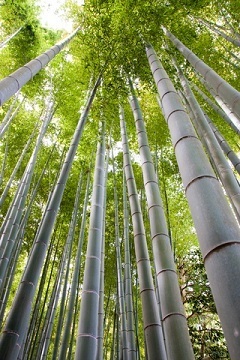 The bamboo plant from which cane poles are made is an interesting plant. The bamboo plant flowers infrequently and at lengthy intervals which can range up to several years. Planting bamboo from seed can take up to a year to sprout. Once it sprouts however, it can grow rapidly. It has been reported that one grower measured a 47 inch growth in one day. More common is for the plant to grow 12 inches in a day and 60-80 feet in a growing season. A book by this name: "Raising Bamboo From Seed" is available and serves as a good resource if you feel this could be a fun and rewarding hobby. Written by Gib Cooper in BAMBOO, August 2005, Vol, 26, Issue 4, p. 14. 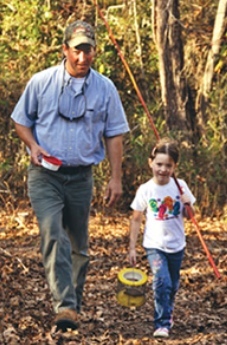 Making your own cane fishing pole can add pleasure to your fishing activity. 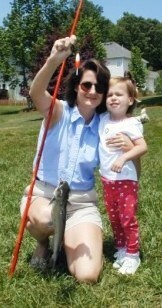 There are many resources on line that discuss how to do this including How to Make a Cane Fishing Pole on eHow.com. Cane is shown cut and drying below. Cane fly fishing rods are another matter and can be very expensive. These can take up to 100 hours to complete. 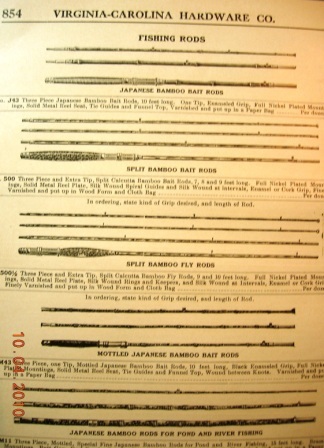 The following bibliography serves as a good reference if you want to read more about the history of making cane or bamboo fly fishing rods. Phillips, Don (2000). The Technology of fly rods. Frank Amato Publications, Inc.